When you land at Ibrahim Nasir International Airport (that’s Male Airport in plain speak, and Male is the capital of the Maldives), you will notice one thing that is really apparent: Hotels act like airlines. If normal airports have airline check-in desks, Male Airport has endless rows of hotel desks. Before we even got to NIYAMA’s Resort’s desk, a staff from NIYAMA had already swooped us up straight from the baggage carousel. 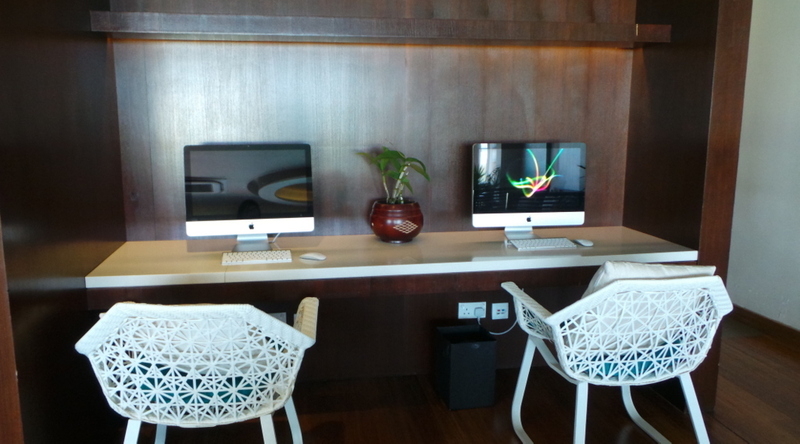 After ticking off our names at the desk, we were ushered to the 2nd level of the airport, to NIYAMA’s private lounge. At the sound of a faint *ding! * the lift doors opened, and the first thing that I noticed, (and hit me) was a wash of strong sunlight, and everything white. 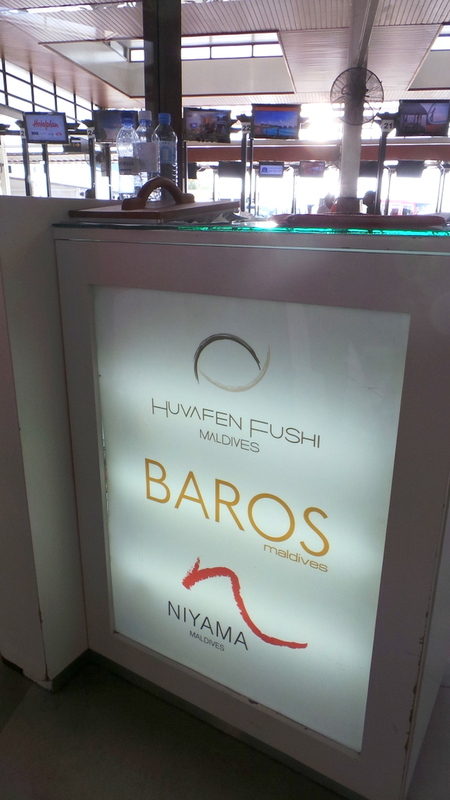 All resorts in the Maldives carry a theme and certain branding that makes them known. I’ve done my research prior to arriving in the Maldives, so I had a bit of an idea that NIYAMA Maldives is a hip, chic, and modern resort. After setting foot in the lounge, I added the word “Fashion-forward” to my tagline description of the resort. A lounge staff welcomed us and immediately gave us cold towels and took down our drink of choice. Fashion TV (FTV) was the default channel (and background music) throughout. 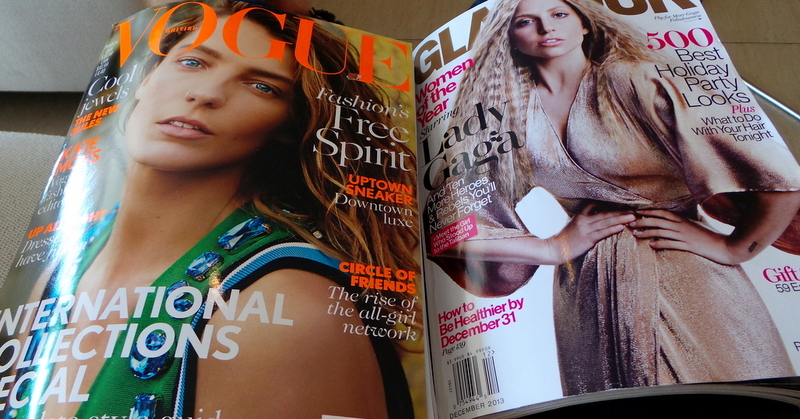 There was also an abundance of glossy fashion magazines, mostly UK editions. 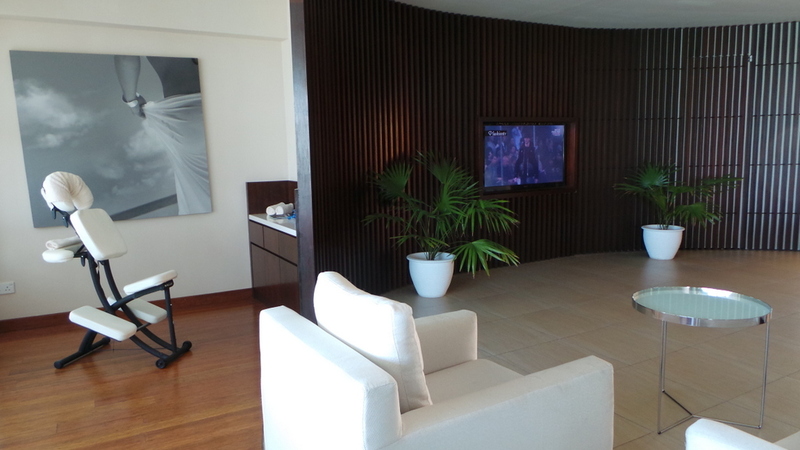 There was also complimentary massage, but we opted to laze on the very comfortable lounge chairs. There’s also complimentary Wi-Fi, and a selection of small meals (salads and sandwiches). We ordered a sandwich each, and as I explored the lounge, I discovered they have a kitchen/pantry that looks way too inviting. It eerily resembled my mom’s kitchen so I did what was natural and familiar: helped myself. There was an assortment of gourmet biscuits such as Biscotti, Madeleine, and bite-sized Financier. The best part was the chiller. It contained cans of cold Milo. Do you know what a chilled can of Milo is on tropical weather? A can of happiness, that’s what it is. Upon using the restroom (with showers), I was very thrilled to discover that they used Ren products! I am to stay at two Per Aquum properties and they all have Ren products which is my personal favourite brand. There is something very blissfully catatonic about watching FTV while lazily browsing fashion magazines and sipping on cold Milo. Our seaplane flight to NIYAMA was delayed by about 30 minutes, but I didn’t really mind nor noticed. 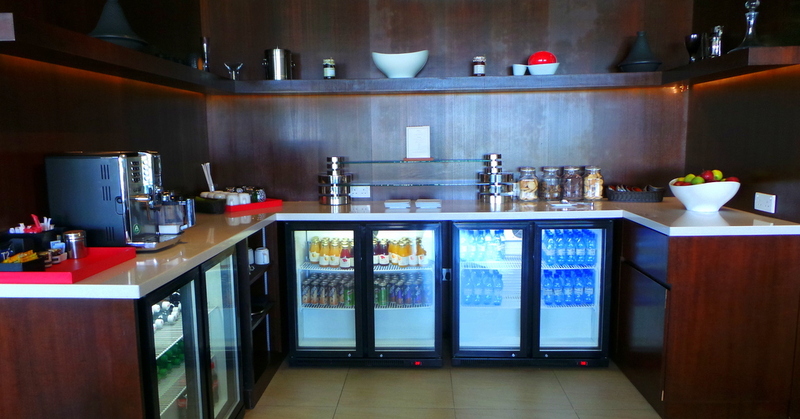 Hotel Lounges at airports are an extension of the Hotel/Resort. It provides guests an opportunity to feel welcome without actually setting foot at the actual resort, and more importantly, it serves as a grand aperitif to an even more amazing main course. What do you think of Airport/ Hotel lounges? Are they just as important to leisure travellers as it is to business travellers? Looks like they’ve changed lounges!! There now, certainly not as nice as that. Perhaps that’s no longer for Niyama. Really? That’s interesting to hear. 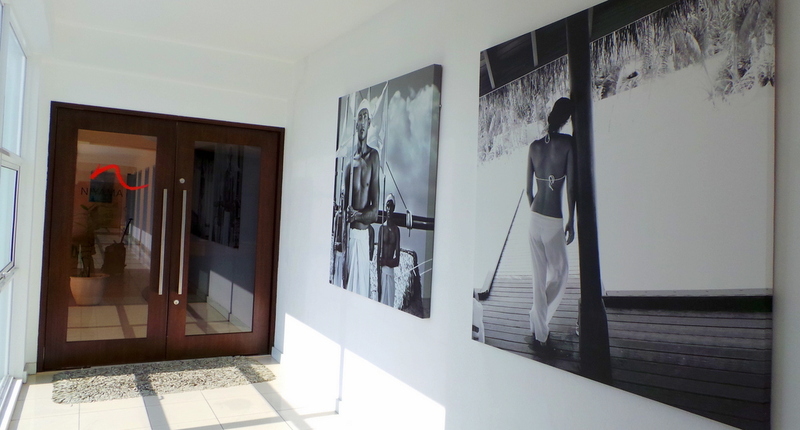 I heard that NIYAMA has since changed hotel groups, maybe that’s the reason why its changed? What does it look like now? Looks similar to the other lounges on the first floor of the airport (fairly cramped), at least there’s air conditioning! Upon further research appears that a new lounge is under construction (previous lounge displaced).